The Executive Suite. 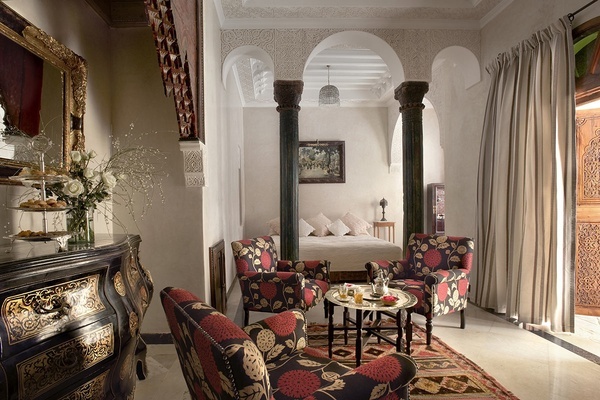 All photos courtesy of La Sultana Marrakech. Popupla hotel hopper Liza Foreman checks into one of the smallest, best, and hardest-to-find hotels in Marrakech. 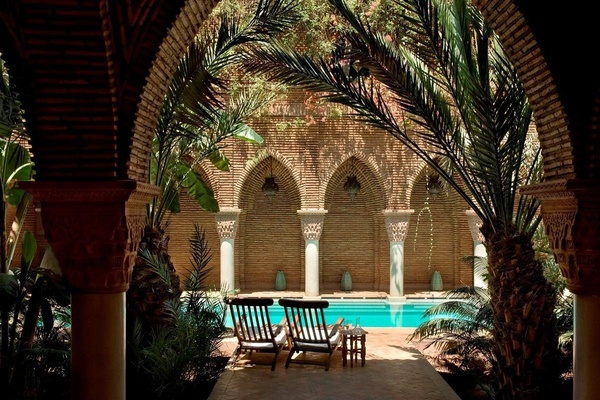 MARRAKECH – is a hidden five-star gem. So hidden that if you didn't know where to find it on the main drag in the Kasbah, you might miss it. Look for bellboy in the regal red jacket guarding the entrance, beyond which lies the opulent hotel with a swimming pool, lovely roof terrace, and a multitude of nooks and crannies and tucked-away courtyards. Then make your way to the rooftop and experience the neighborhood without ever leaving the hotel. 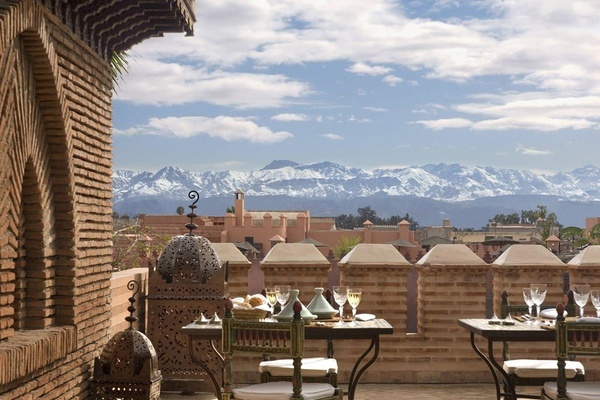 Choose your perch — restaurant, bar, solarium, plunge pool, or massage gazebo — and look out over rooftops to the towering Atlas Mountains. Flanking the scene is a tiny market for locals and the , one of the city's historic tourist attractions. 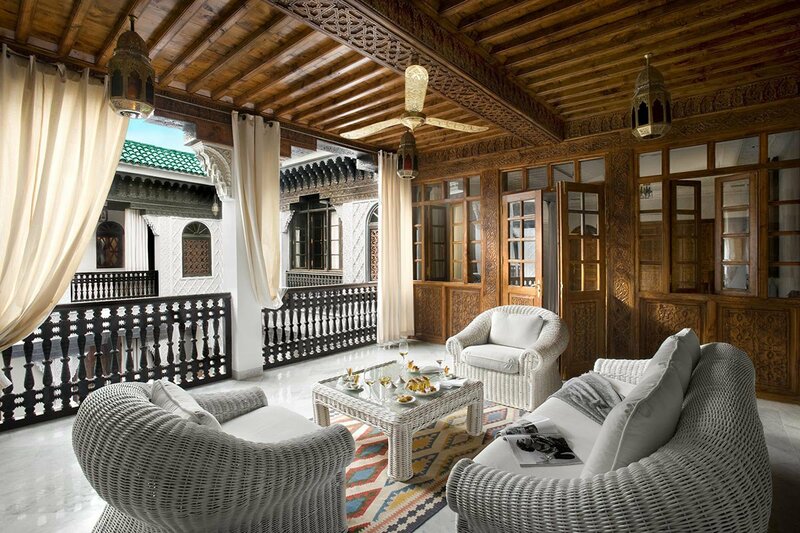 Entering one of the suites is like stepping into an old-school Moroccan fantasy. The living area is incredibly spacious and delightfully kitschy, and a vast, pillared bed set behind sheer curtains makes mornings seem like scenes from One Thousand and One Nights. Furniture is inspired by animals (set the keys on the camel table), adding a playful touch to the already magical atmosphere. The bathtub, meanwhile, seems to have been built for the gods, with marble pillars that run from rim to ceiling. Truly a decadent soak. There are 28 rooms and suites — many quite modern — but one stands above the rest. Literally: The 1000-square-foot top-floor Executive Suite has a white lounge with a fireplace adorned with carved stone lions on either side. The apartment also features a large bedroom, two bathrooms, and a private terrace. 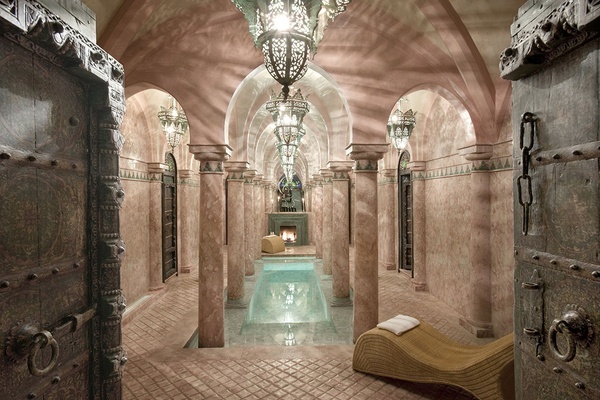 It's big luxury for the smallest five-star riad in Marrakech. Rates start at 3400MAD. .